Norma Lou Mackey passed away on April 2, 2018 at the I.U. Hospice House. She was born September 3, 1938 to Paul and Helen (Waterford) Deckard at her grandparent’s farm on South Highway 37. She graduated from Smithville High School where she was a “SKIBO” Cheerleader. Norma worked at the former RCA factory where she retired after 31 years of service. Norma was a devoted wife, mother, grandmother, great-grandmother and friend. She loved her family beyond words. Norma was married to Wilbur Mackey for the past 43 years. 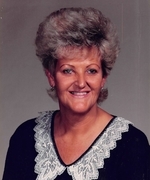 She was blessed with three children from a previous marriage, Rick Head, Robin (Head) Egan (Doug) and Randy Head. She also raised a grandson, Christopher N. Head (Jessica) who was as a son to her. Her grandchildren are William Paul Head, Rachel Head, Kellan Head, Bryce Head and Allison J. Head. Great-grandchildren are Bentley and Braxton Head. Norma is survived by her sister, Linda Jo Pitman (Bobby) of Bloomington. Norma enjoyed family gatherings, especially at the Waterford Family Farm. She was an excellent cook and loved to hunt and eat mushrooms. Norma was of the Christian faith. Norma’s trust in the Lord is what inspired her through these past few years of difficulty. She will be truly missed by family and friends. Remember this – A Mother is she who can take the place of others but whose place no one else can take. Viewing will be from 4:00 – 8:00 p.m. Thursday, April 5, 2018 at The Funeral Chapel of Powell and Deckard 3000 E. Third St. Bloomington. Services will be 1:00 p.m. Friday April 6, 2018 at The Funeral Chapel with Pastor Jud Sears officiating. Burial will follow at CloverHill Cemetery in Harrodsburg. In lieu of flowers, the family request that donations be made to the I.U. Hospice House in memory of Norma.